1. Position a rack in the upper third of the oven and preheat to 375*. Coat a shallow baking pan with oil. In a small bowl, mix together the curry powder, black pepper, ginger, salt, sugar, white pepper, cayenne and cinnamon. 2. In a large bowl, beat the egg whites until blended but not foamy. 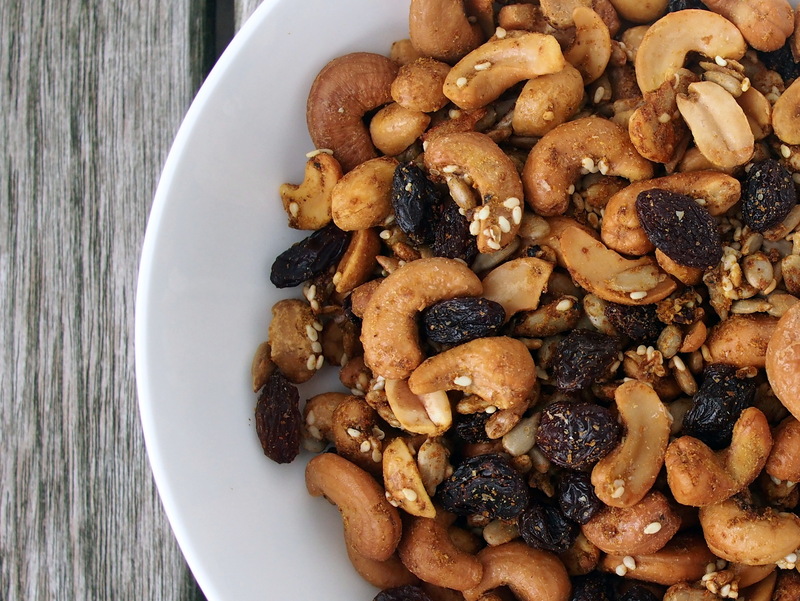 Add the cashews, peanuts, sunflower seeds and sesame seeds and stir to coat them evenly. Immediately sprinkle the spice mixture over the nuts, again stirring to coat evenly. 3. Spread the nut mixture in an even layer in the prepared baking pan. Transfer to the oven and bake for 5 minutes. Stir the nuts to break up any clumps. 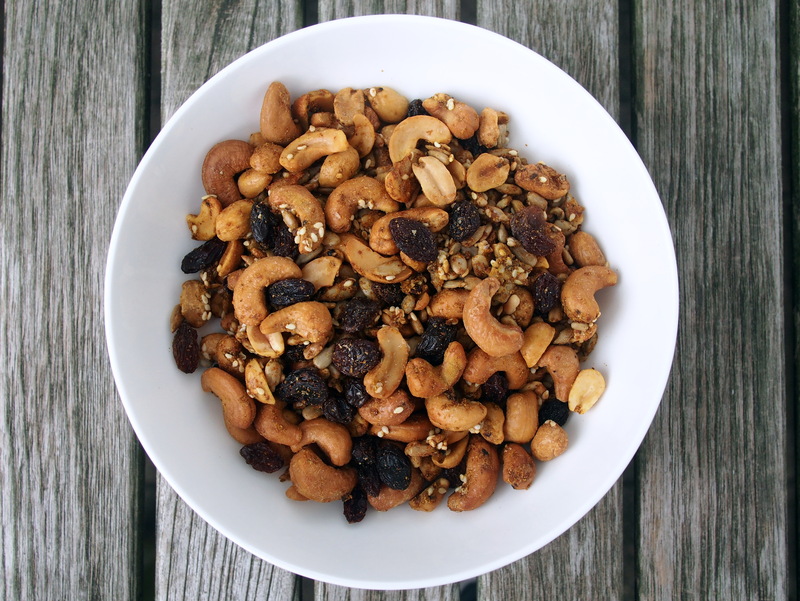 Continue to bake, stirring once or twice, until the nuts are crisp, dry and fragrant, 10 to 12 minutes. Place the pan on a wire rack and let the nuts cool completely. Transfer the mixture to an airtight container and let stand at room temperature for 24 hours to develop the flavors. Stir the raisins into the nuts just before serving.